Pakatan Harapan chairperson Dr Mahathir Mohamad said relatively speaking, Malaysia was a peaceful country until a “crook, thief and robber” showed up. Mahathir said Malaysians love their country as it gave the people a good life, although it is true that we may not be so close as to go hugging one another. He said Malaysians live in peace and harmony compared to countries in the Middle East like Iraq, Syria or Yemen, where the same ethnic groups are at war, killing one another. “But even though we have our differences, we do not riot and kill each other; we have many races and tribes yet we are very peaceful,” he told a crowd of 3,000 at the ‘Sayangi Malaysia, Hapuskan Kleptokrasi” hosted by the DAP in Penang last night. “I admit we are not completely harmonious, but we can gather in this crowd and not fear that some of us may throw a bomb. We are safe. “ In other countries, if there is a crowd, someone may throw a bomb – for these, we have to be grateful,” said the former premier. “Yes, there were differences between us but we are able to tolerate.This was until came a thief, robber and crook […], and so we are in trouble,” he said to cheers from the crowd. Once Mahathir’s protege, Prime Minister Najib Razak fell out of favour with his former boss at the height of the 1MDB scandal. The sovereign fund is currently being investigated in several countries, including the United States where the Department of Justice has alleged money laundering activities. Mahathir has been firing daily salvos against Najib since it was exposed RM2.6 billion had been transferred to the Prime Minister’s personal bank accounts prior to the 13 national polls in 2013. Najib has denied taking public funds for personal gain, while Attorney-General Mohamed Apandi Ali (photo) has cleared him of all wrongdoing. Meanwhile, Mahathir, sporting a red shirt with a large print of Parti Pribumi Bersatu Malaysia’s flower logo, said the rakyat is not at war, but the Prime Minister has allegedly done much wrong like “buying support for himself, abuse of power and trying to divide people of different races”. In his 40 minute speech, the Bersatu chairperson said the boundaries of constituencies are allegedly being changed to separate the Chinese and Malay voters. “Najib believes the Chinese will not support him and I believe the same […], but he tried to save himself by separating the Malays in the hope they will support him. “But believe me, the Malays will not support him,” he added to loud applause from the crowd. Mahathir said he knew this because he was on the ground on a daily basis, citing a recent event in Selama, Perak on Friday, which according to him, drew a 8,000 crowd, mostly Malays. Describing the matter as strange, Mahathir said most of the crowd who attended the ceramah were allegedly UMNO and PAS members. “They sit in the dark because they are afraid that Najib would recognise them. This is Najib’s dictatorship rule. If he sees UMNO or PAS members, he will give them a warning not to attend our events, but later he will feed them with dedak (bran). Apart from Mahathir, Penang Chief Minister and DAP Secretary-General Lim Guan Eng, MPs Lim Kit Siang (Gelang Patah) and M Kulasegaran (Ipoh Barat), Amanah President Mohamed Sabu and PKR Secretary-General Saifuddin Nasution also gave speeches at the event. Posted in 1MDB Financial Scandal, A-G Apandi Ali, Character and Integrity, civil society issues, Corruption, Democracy, Kleptocracy, Najib Razak, Politics, Race Relations, Rule of Law, UMNO. 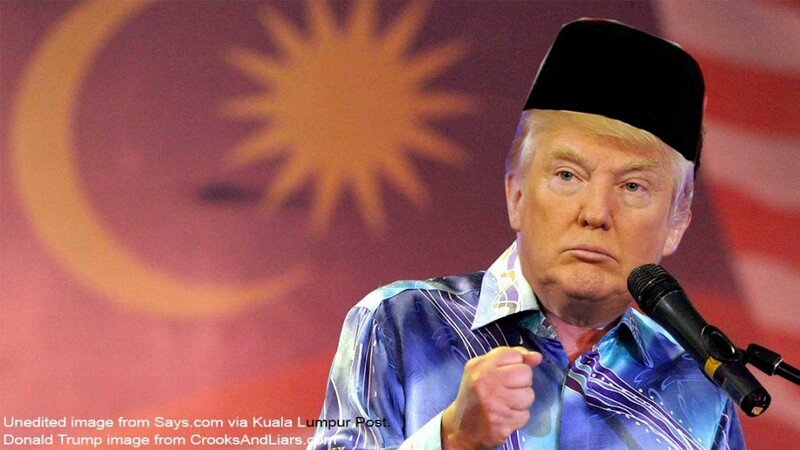 Two Unpopular Leaders–Malaysia’s Najib Razak and POTUS 45 Donald John Trump. Their news conference will be full of unadulterated lies, no doubt. 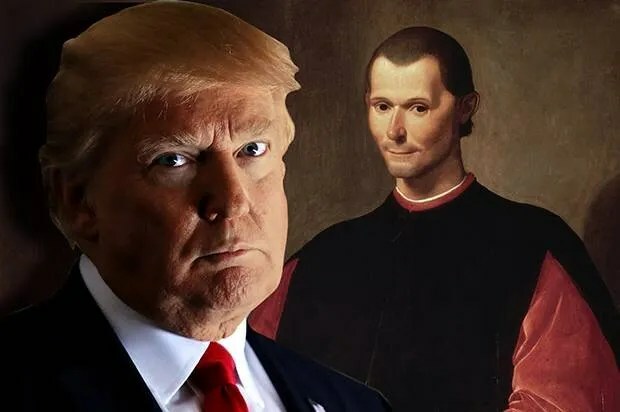 In asking Malaysian Prime Minister Najib Razak to the White House, US President Donald Trump has extended an invitation to arguably Southeast Asia’s biggest crook among the region’s current leaders and one who has jailed or threatened the country’s opposition into near irrelevance. After initially embracing Najib as a moderate Muslim leader of a prosperous democracy, even inviting him on a golf date in Hawaii, former President Barack Obama distanced himself from the Malaysian premier as the revelations of his corruption grew. Among those “close partners” in Southeast Asia that the President has invited are Rodrigo Duterte, the President of the Philippines, described in a recent Asia Sentinel editorial as a psychopath who has prosecuted a drug war that has taken the lives of more than 7,000 people, most of them the poorest of the country’s poor; and Prayuth Chan-ocha, the military dictator who ousted a civilian government in Thailand in 2015 and has jailed or harassed thousands of opponents, driving many out of the country. De facto Prime Minister of Malaysia Datin Seri Rosmah Mansor welcomes the arrival of South African President’s wife, Nompumelelo Ntuli-Zuma. US FLOM Melania Trump is waiting to greet her. Shortly after he was elected last November, Trump placed a 3 am phone call to Najib, engineered by a Najib associate, (Syed Azman, the AP King) promising an invitation. It was widely assumed prior to that Najib and his wife, Rosmah Mansor were afraid to come to the US for fear of arrest. He is under the microscope of the US Justice Department in a civil case for the theft of at least US$1 billion, much of which was invested in a wide range of property in the United States. Riza Aziz, Najib’s stepson by Rosmah, and the co-producer, is accused of receiving US$238 million in addition. At least six countries are involved in investigating the scandal. Leonardo DiCaprio returned an Oscar originally won by Marlon Brando as part of the US Justice Department’s move to recover $540 million in assets it says were stolen from Malaysia’s troubled wealth fund, 1MDB. The government has sequestered millions of dollars of property identified as having been purchased in the affair. 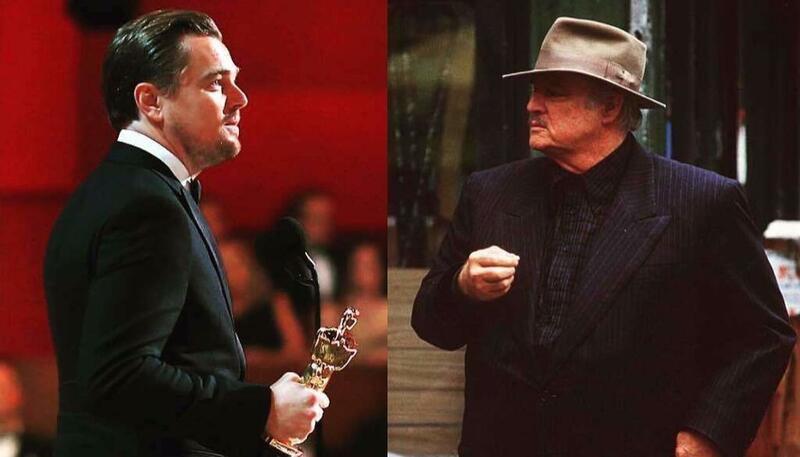 Leonardo DiCaprio, the star of the movie, has had to turn over an Oscar won by Marlon Brando to the government that was given to him by the producers. A call to a US Justice Department spokesman in Los Angeles, which is tallying the assets allegedly stolen by Najib, his relatives and associates, asking for the status of the wide-ranging investigation into the affair wasn’t answered and it isn’t known if the investigation is continuing. When he came into office, Trump fired all the 93 US attorneys in the US and its territories. Najib’ s visit is scheduled for September. 12, according to the New York Times. It has been met with incredulity by critics, who point out that Najib has been under fire even before he became prime minister. He was the focus of a huge scandal in the previous decade for steering a €114.96 million bribe (US$135.7 million at current exchange rates) to the United Malays National Organization, the country’s biggest political party, on the purchase of Scorpene submarines from the French munitions maker DCN. Altantuya Shaariibuu, a 28-year-old Mongolian beauty who had figured in the case, was murdered by two of Najib’s bodyguards after demanding US$500,000 from Abdul Razak Baginda, the Prime Minister’s close friend and confederate in the affair, who had jilted her. Two officials of a DCN subsidiary have been indicted, specifically on charges of bribing Najib by name. Abdul Razak Baginda was indicted by the French prosecutor in June. 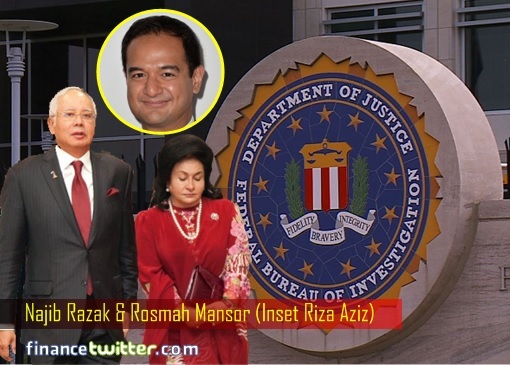 As Asia Sentinel reported on June 3, according to documents filed by the US Justice Department’s Asset Forfeiture Section in Los Angeles, as much as US$4.5 billion is said to have gone missing from 1MDB, some of it in the form of jewels now adorning Rosmah’s portly torso. The documents identified the US$681 million that mysteriously appeared in Najib’s personal accounts in 2013 as having come from 1MDB, not mysterious Saudi benefactors, as Najib has claimed. Others besides Riza Aziz are Low Taek Jho, or Jho Low, the flamboyant Malaysian Chinese financier who convinced Najib to take over an obscure Terengganu fund and turn it into 1MDB; and several top 1MDB officials. In his own country, Najib engineered the jailing of the opposition leader Anwar Ibrahim in 2015 on what are widely regarded as specious sexual perversion charges. In July of 2015, he fired the country’s attorney general, Abdul Gain Patail, on the eve of Patail’s decision to charge him with corruption, and replaced him with Mohamed Apandi Ali, considered to be a stooge of the United Malays National Organization. He also kicked out his Deputy Prime Minister, Muhyiddin Yasin, as well as Akhil Bulat, the Head of the Police Special Branch intelligence unit and others for questioning his version of events surrounding 1MDB. He ordered the temporary suspension of The Edge Financial Daily and its sister paper after they printed that the equivalent of U$1.83 billion was allegedly stolen by company officers and others from the troubled fund. The Prime Minister continues in office on the strength of millions of dollars paid in bribes to cadres of the United Malays National Organization; the country’s leading political party, who are instrumental in keeping him at the head of the party. The government must go to the polls under Malaysia’s Westminster parliamentary system by mid-2018. At the moment, the opposition, fractured by political infighting with many of its top leaders under the threat of prison for specious sedition charges, is given little chance of taking over. The ruling Barisan Nasional coalition has effectively gerrymandered the country to ensure victory in addition to denying the opposition a voice in the country’s newspapers and other media, almost all of which are owned by government-aligned political parties. Last May, the government charged Premesh Chandran, the publisher and CEO of the independent online news portal Malaysiakini – arguably the country’s only effective media voice — with violating he communications and multimedia act for posting footage of a press conference critical of the attorney general’s decision clearing Najib of corruption allegations. Posted in 1MDB Financial Scandal, A-G Apandi Ali, Altantuya Murder, ASEAN, Character and Integrity, civil society issues, Corruption, Diplomacy, Donald J Trump, GE-14 Malaysian General Election, Kleptocracy, Leadership, Money Laundering, Najib Razak, Rule of Law, Tun Dr. Mahathir Mohamad, UMNO. Abu Talib is of the opinion that Apandi acted to the “best of his ability in the circumstances today” and that he has the power to clear the Prime Minister as “he has the evidence”. Two years have passed since Mohamed Apandi Ali was appointed as attorney-general, but his decision to clear Prime Minister Najib Abdul Razak of any wrongdoing with regard to the RM2.6 and 1MDB issues continues to haunt him. Detractors have claimed he was appointed to replace Abdul Gani Patail, who was suddenly removed due to health reasons, with the sole aim of covering-up the 1MDB scandal. Both Apandi and the government have denied this. In an interview with Malaysiakini, former Attorney-General Abu Talib Othman shared his thoughts on Apandi’s handling of the 1MDB case. Responding to a question, he agreed that Apandi should be more cooperative with the US authorities instead of dismissing the Department of Justice (DOJ) suit as being politically motivated. “Ideally, he should because we are talking of justice and the rights of the individual,” he said. Abu Talib cited the case of businessman Eric Chia in which the then Attorney-General had “gone around the world collecting evidence to support the charge preferred against him”. The Federal Court, in 2007, however, held that the evidence obtained from Hong Kong was inadmissible. The former Managing Director of Perwaja Steel Sdn Bhd was thus acquitted of committing criminal breach of trust. “So we don’t know what evidence he (Apandi) has, the evidence the investigating agencies were able to gather which was presented to him for a decision,” said the former AG. On the same note, Abu Talib is of the opinion that Apandi acted to the “best of his ability in the circumstances today” and that he has the power to clear the Prime Minister as “he has the evidence”. “I don’t know whether there is evidence or not. According to him, he examined the investigation papers and found the Prime Minister has not committed any criminal offence and therefore he closed the case. “You and I don’t know the contents of the investigation papers. Maybe what evidence America has, they (the Attorney-General’s Chambers) don’t have here,” he said. The DOJ had claimed US$4.5 billion of 1MDB funds had been misappropriated and is seeking to seize US$1.7 billion in assets allegedly acquired using the stolen money. 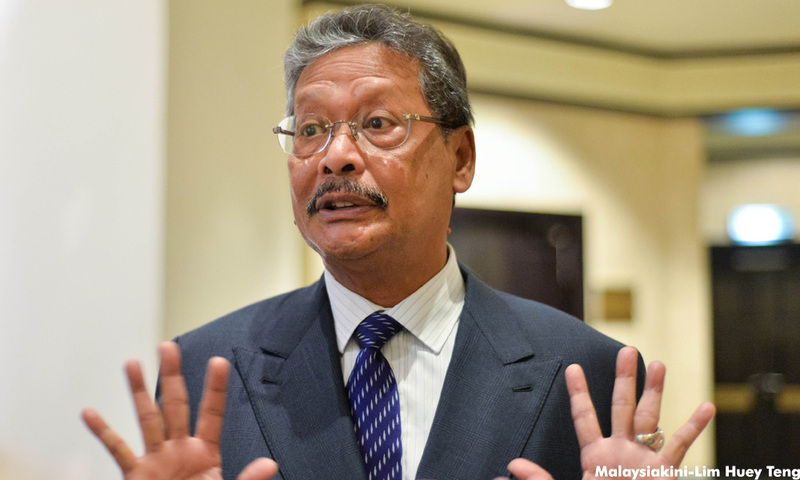 Apandi, however, said the suit was “politically motivated”, claiming the DOJ never made a formal application to Malaysia’s Attorney-General’s Chambers to obtain further information with regard to its claim. Asked how he would have handled the matter, Abu Talib cited the case of former culture, youth and sports minister Mokhtar Hashim who was convicted of murder in 1983. The former AG stressed he would make decisions based on evidence made available. “I had to make a tough decision whether or not to charge him for the murder of his colleague in Negri Sembilan. I disagreed with everybody, I said there was enough evidence. I went to court and I prosecuted him, he was sentenced to death but later it was commuted to life imprisonment.My decision was based on the evidence,” he said. Abu Talib believes that it is convenient for people to criticise when he or she does not even know the evidence that was presented. “As Attorney-General, I think he (Apandi) acted on, as what he said, the facts and the law applicable. “The Police and the Malaysian Anti-Corruption Commission (MACC) never said they have sufficient evidence, all they said was that they have completed their investigation and submitted (the findings) to the Attorney-General,” he pointed out. Last January, Apandi said the RM2.6 billion in Najib’s personal account was a donation from a member of the Saudi Royal Family. In its civil forfeiture lawsuits involving 1MDB, the DOJ claimed that the money had originated from 1MDB. Najib has repeatedly denied misusing public funds for personal gain and blamed such allegations on those conspiring to topple him. Posted in 1MDB Financial Scandal, A-G Apandi Ali, A-G Chambers, Character and Integrity, civil society issues, Corruption, Governance, Justice, Money Laundering, Najib Razak, Public Accountability. The Malaysian Attorney-General is the Public Prosecutor. He must uphold the Rule of Law. (The Malaysian Constitution–Article 145). His job is to protect the public interest, act with objectivity, take proper account of the position of the suspect and the victim, and pay attention to all relevant circumstances, irrespective of whether they are to the advantage or disadvantage of the suspect. (1) The Yang di-Pertuan Agong shall, on the advice of the Prime Minister, appoint a person who is qualified to be a judge of the Federal Court to be the Attorney General for the Federation. (2) It shall be the duty of the Attorney General to advise the Yang di-Pertuan Agong or the Cabinet or any Minister upon such legal matters, and to perform such other duties of a legal character, as may from time to time be referred or assigned to him by the Yang di-Pertuan Agong or the Cabinet, and to discharge the functions conferred on him by or under this Constitution or any other written law. (3A) Federal law may confer on the Attorney General power to determine the courts in which or the venue at which any proceedings which he has power under Clause (3) to institute shall be instituted or to which such proceedings shall be transferred. (4) In the performance of his duties the Attorney General shall have the right of audience in , and shall take precedence over any other person appearing before, any court or tribunal in the Federation. (5) Subject to Clause (6), the Attorney General shall hold office during the pleasure of the Yang di-Pertuan Agong and may at any time resign his office and, unless he is a member of the Cabinet, shall receive such remuneration as the Yang di-Pertuan Agong may determine. (6) The person holding the office of Attorney General immediately prior to the coming into operation of this Article shall continue to hold the office on terms and conditions not less favourable than those applicable to him immediately before such coming into operation and shall not be removed from office except on the like grounds and in the like manner as a judge of the Federal Court. The A-G’s quick dismissal of the DoJ’s second suit and his vigorous defence of the Prime Minister against any criminal wrongdoing has raised eyebrows. A little over 24 hours ago, the US Department of Justice (DoJ) filed a second suit to recover more assets allegedly acquired using 1MDB funds. The 251-page complaint sheds more light on the scandal and seeks to seize assets such as yachts, diamonds, rights to Red Granite Pictures films and paintings by notable artists. Number One – the A-G was unmistakably dismissive of the DoJ’s second suit: “This second action comes on the anniversary of the first, and appears to be a repeat of it”. Number Two – the A-G mounted a vigorous defence of the prime minister: “The attorney-general expressed his strong concerns at the insinuations and allegations that have been made against the Prime Minister of alleged criminal wrongdoing in relation to the civil action”. With respect, these postures adopted by the A-G are both misconceived and not in line with the role of an attorney-general in law. Make no mistake – this second civil suit is not a repeat of the first filed on July 20, 2016. First, the DoJ has now quantified the alleged misappropriated funds at US$4.5 billion from the initial US$3 billion. Second, it reveals several new “phases” in which funds were allegedly siphoned from 1MDB. Third and most obvious, it has identified more assets in which these misappropriated funds were spent on. It is therefore unfathomable how the A-G can reach a conclusion that the second civil suit is a repeat of the first, what more in a matter of hours after its release. Eyebrows were also raised as to how quickly the AG sought to shield the Prime Minister from allegations of criminal wrongdoing. These statements appear to be incongruent with established international conventions on the role of prosecutors. Article 13(b) of the UN Guidelines on the Role of Prosecutors 1990 states that prosecutors shall “(b) protect the public interest, act with objectivity, take proper account of the position of the suspect and the victim, and pay attention to all relevant circumstances, irrespective of whether they are to the advantage or disadvantage of the suspect”. • To appoint a special prosecutor of unimpeachable integrity to investigate and take appropriate action in relation to the 1MDB matter, as the attorney-generals in the US have done in Archibald Cox during the Watergate scandal and Robert Mueller towards Russian interference in the US elections. • Whenever a foreign jurisdiction takes action on matters relating to the 1MDB matter, take appropriate time to read and liaise with the authorities to comprehensively assess all relevant angles before dismissing the same. • Whenever any party alleges or accuses a person investigated in the 1MDB matter, take appropriate time to reach out to such parties for more information before dismissing the same. • Never attack or defend any person currently being investigated in the 1MDB matter to prevent an impression of bias. If one needs a role model, one can look no further than our US brethren in Sally Yates, the acting US attorney-general who defied US President Donald Trump in defence of the Rule of Law and the dignity of the DoJ. Lim Wei Jiet is an advocate and solicitor of the High Court of Malaya. He is also the deputy co-chairperson of the Malaysian Bar Constitutional Law Committee. Posted in 1MDB Financial Scandal, A-G Apandi Ali, Civil Suit, Corruption, Governance, Money Laundering, Politics, Public Accountability, Rule of Law, UMNO.